Exclusively for Joseph Joseph, the ‘View’ contemporary kitchen storage range (in colours to match the melamine bread bin), has been specially designed with a transparent base so the contents is visible. Made from durable polycarbonate, each has a silicone airtight seal, and is dishwasher safe. 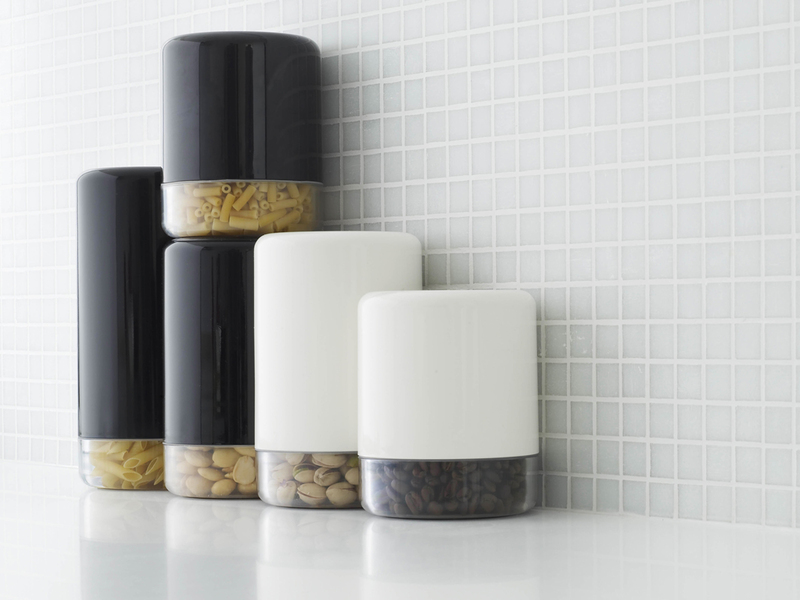 The contemporary kitchen storage range “View” also includes a completely transparent version, which has weight markings for rice, sugar and flour, as well as all the cup measurements. Contents can be easily poured from the airtight container, and measured directly in the lid.